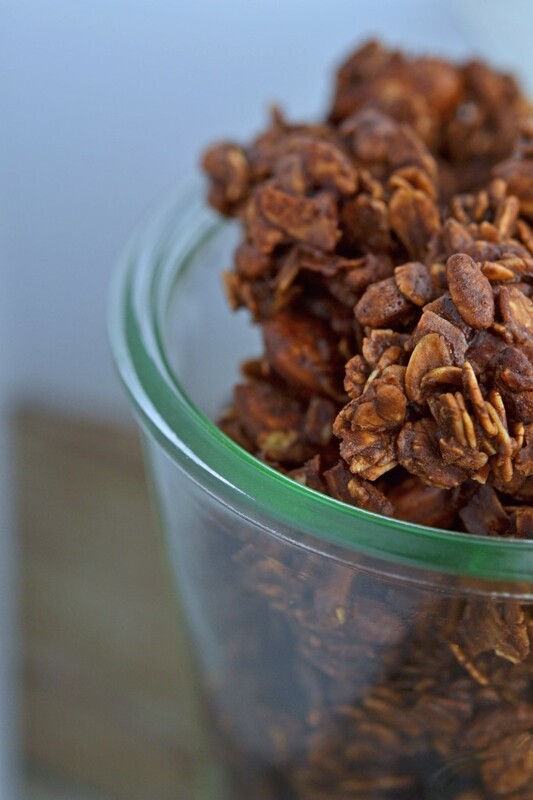 Chocolate Granola | Great gluten free recipes for every occasion. As you read this, look out your window, and look straight up. Do you see me? I’m on a cross-country plane, bound for sunny California. We’re doing it the tightwad way, ‘course, powered by frequent flyer miles. We’ve got some sort of inconvenient layover, had almost no choice in when we flew, and I’ll probably have a middle seat between someone with B.O. and billowy shirtsleeves (to air out the stench) on the one side, a crying baby on the other side. My celiac son is a nervous wreck about eating all manner of meals outside the cocoon that is my gluten-free kitchen, so I go bearing gluten-free snacks. This chocolate granola is a perfect traveling snack. And, not to worry. I’ve been stockpiling little blog post nuggets like a squirrel lately, so I have plenty other goodies to share with you while I am on the left coast. This granola is packed with lots of protein (thank you, almonds and gluten-free oats), and then there’s … the chocolate. Not only does the Dutch-processed cocoa and melted dark chocolate combo give it amazing depth of flavor, but it also helps the granola clumps keep their shape. So it’s perfect for snacking, right out of the container, or for tossing with some fresh fruit and layering it with some yogurt. Just pour the chocolate mixture over the top. And inhale deeply. The smell alone sends me. Of course, my son and I will no doubt have to eat something during the next two weeks away that I haven’t made myself with my own two protective hands. Until then, we have chocolate granola. And we’re doing fine. Oh, and if you have a favorite gluten-free eatery in the area of San Clemente, California, I’d love to hear about it! Preheat your oven to 300 degrees F. Line a rimmed half sheet baking pan with unbleached parchment paper, and set it aside. 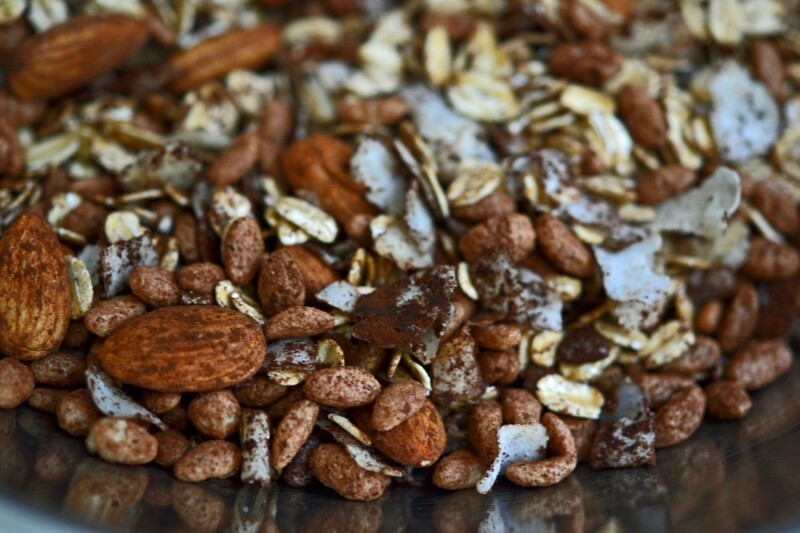 In a large bowl, place the oats, puffed rice cereal, coconut chips, almonds, cocoa powder and salt, and mix to combine. Set the bowl aside. In a medium-size saucepan, whisk together the water, brown sugar and maple syrup. Cook over medium heat, whisking constantly, until the liquid boils. Continue whisking and allow to boil for 1 minute. Remove the pan from the heat, and add the olive oil and chopped chocolate. Whisk until the chocolate is melted and smooth. Pour the liquid mixture over the oat mixture, and stir until well-combined. Pour the granola onto the prepared baking sheet and scatter into an even layer. Place the baking sheet in the center of the preheated oven and bake, stirring occasionally, until crisp (about 30 minutes). Remove from the oven. 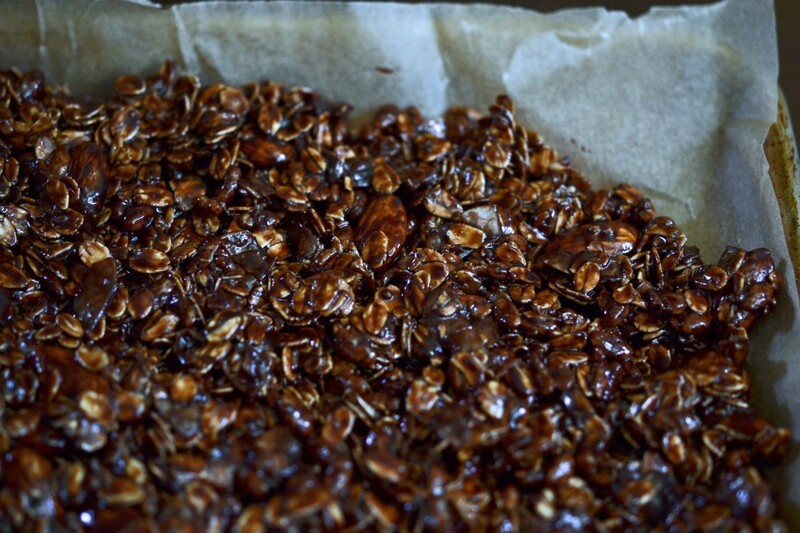 For chunky, clumpy granola, allow to cool completely on the baking sheet before breaking it into large chunks. Otherwise, allow to cool briefly on the baking sheet before transferring the granola to a container. Seal the container once the granola has cooled, and store at room temperature. P.S. A big, sloppy thank-you to all of you who have bought a copy of My Cookbook. I really appreciate your support! If I had been a better planner, I would have organized some sort of book signing/cooking class in California. I just … am not a good planner. Note Australia’s labelling laws are reasonably tough on anything remote misleading. ie. that all coeliacs can eat these safely. “For 50 years there’s been controversy as to whether oats contain gluten. In the past 15 years there have been many studies showing that eating oats does not adversely affect people with coeliac disease. Most sites suggest trying oats carefully. This turned out great! I didn’t have maple syrup but honey worked just as well. I sprinkled cranberries over the top. Yummo! My kids told me they can’t wait to have this for breakfast in the morning! Thanks so much for your recipes. I’m a newbie to the Celiac world but you have made it such an easy transition. Many blessings to you and your family. I’m so happy that I have been able to help ease the transition to gluten-free for you, Leslie. Thank you for the nice note. Glad you enjoyed the granola! San Clemente is beautiful. Beach it up! Anyway, as far as the pizza options are concerned (and I KNOW you know), these establishments can’t guarantee that their GF options–pizza and otherwise–are truly “clean”. As an extremely sensitive celiac, I never risk it at GF “accommodating” pizza joints. Everything is prepared around gluten-containing foods. If your son is extremely sensitive as well (and it sounds like he is), I’d say skip it. There IS, however, a TOTALLY GF market called StellaLucy’s in San Clemente. While its not a restaurant, it might be a good place to stockpile snacks for your stay–once you deplete your chocolatey-heaven-of-granola resource, that is :). Thanks for the market recommendation! Enjoy San Clemente! Selma’s Pizza has GF pizza and other options. Sonny’s has GF pasta, The Brick has GF pizza, El Ranchito has several GF options and Carbonara’s also has GF options. As They Eat At The One In Vegas And Other States When Traveling. Best Of Luck On Your Trip I Can’t Wait To Hear About It. Great idea, Michelle! I will keep Whole Foods in mind. Yay! Compiling snack ideas for our upcoming summer vacation-we are flying to France (from California), also frequent flyer miles (240,000 FF miles by way of credit cards, and lots of other creative shopping and planning). Lots of travel time that will be much easier with chocolate granola. Keep em coming, all the ideas for travel food are welcome. I am also thinking of bringing a suitcase full of Better Batter flour. Not kidding. That’s a whole lot of frequent flyer miles, Margaret! I will be posting my current favorite travel food next week. It came in super handy, along with this granola. 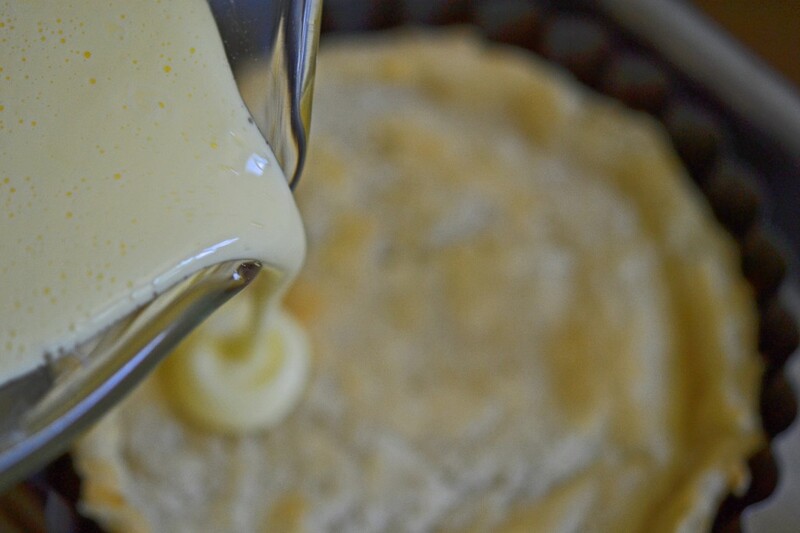 If you are going to be able to bake in France, I would in fact bring some Better Batter. No joke. You won’t find it for sale there, and it’s easier than bringing s bunch of component GF flours. Have a great trip! This looks great! I am flying across the big ocean and am nervous about what to eat on the plane since I cannot request a gf mean. I’ll add this to my snacks! And I love your book!! Some chocolate GF granola beats any airplane meal anyhow, Debby! Thank you for the kind words about the book. I really appreciate it! 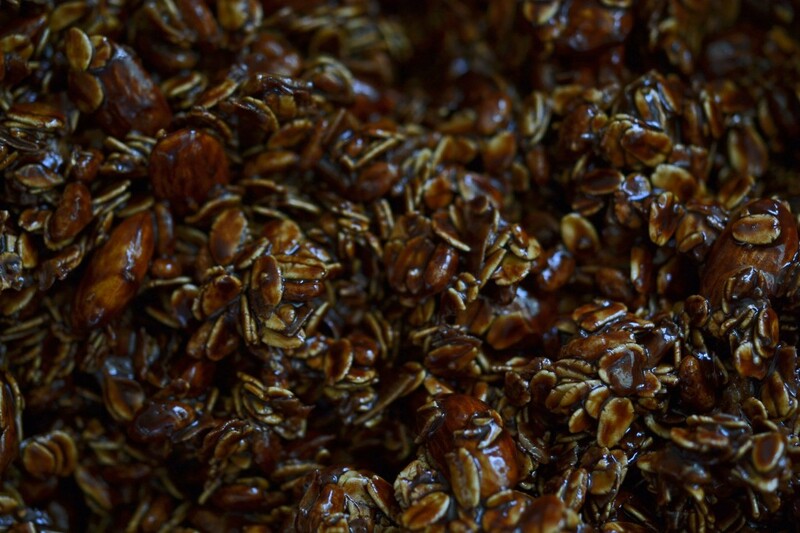 The granola looks amazing….adding it to my very full recipe list. What a shame, Jeannie. But I really do understand. I hate getting second-guessed by family. And it’s only ever family that does that. Friends tend to be more respectful about it. Going to give this a try, since I am out of granola as we “speak”. I just started making my own yogurt a few weeks ago. I’m in heaven now that I can add chocolate granola to the top of my homemade master piece. Safe trip to you and yours. Oh, JoAnn, homemade yogurt with chocolate granola sounds like my idea of heaven! I would share it with no one. NUMS….my tummy growled just looking at this…..
My daughter is also a nervous wreck about eating outside our home. Interestingly, she is getting more and more nervous these days, even though she has not gotten glutenized in nearly a year. She is even starting to freak out about ice cream that we know is GF and have been buying for ages. I am sure there is some other anxiety producing situation in her life, just wish she could figure out what that is. 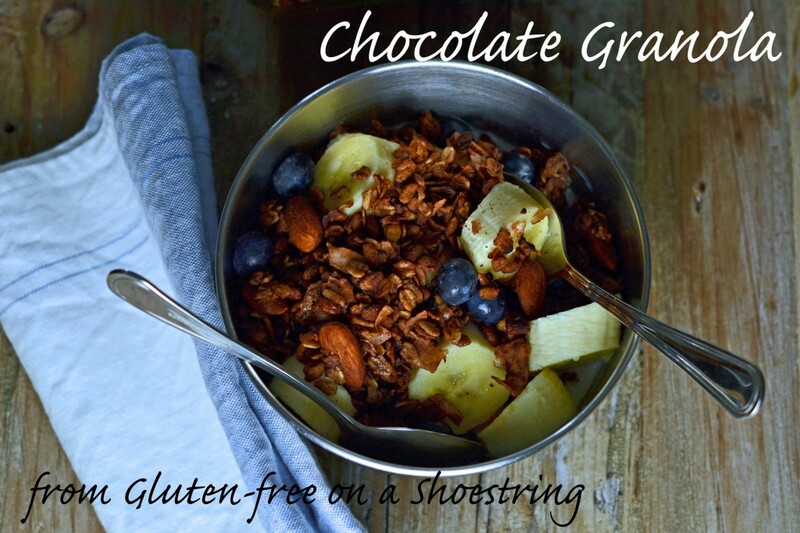 I’m exhausted by it, so I think I need to recover with some GF chocolate granola! Enjoy your trip! Oh, no, Anneke. The unidentified anxiety-producer! The very bane of my parental existence! There is no rest until it is figured out. I used to think that it was only my peculiar children who engaged in that, but I know better now. I hope you get to the bottom of it soon!